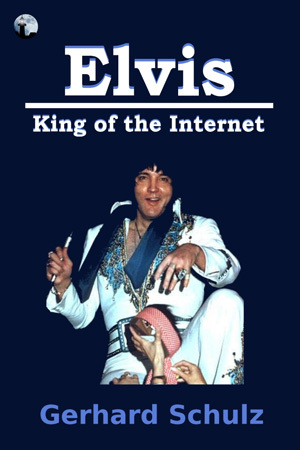 Due for release June/ July 2009 from Sachbuch Berlin is the 140 pages German book "Elvis - King of the Internet" by Gerhard Schulz. It retails for 12,80 Euro, ISBN: 978-3-939948-22-3..
Dear friends! Great to find the announcement of my new book on my beloved elvisnews-website. Thank you. It has just appeared in print by the Tordenfjord publishing company in Germany.